The Short Story of Modern Art explains the how, why and when of modern art - who introduced certain things, what they were, where they were produced, and why they matter. Simply constructed, the book explores 50 key works - from the realist painting of Courbet to a contemporary installation by Yayoi Kusama - and then links them to the most important movements, themes and techniques. 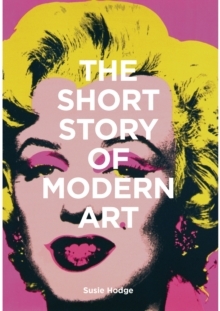 Accessible, concise and richly illustrated, the book reveals the connections between different periods, artists and styles, giving readers a thorough understanding and broad enjoyment of modern art.